Volunteer Missionary Candidates to the Great River People of SE Asia since 2017. Eric & Carly have an undeniable passion for Cambodia. Mission work in Cambodia has been embedded into their relationship since they first saw a future together, and, now married, they are committed to serving in Cambodia indefinitely. As God holds the doors to Cambodia open, they will go. 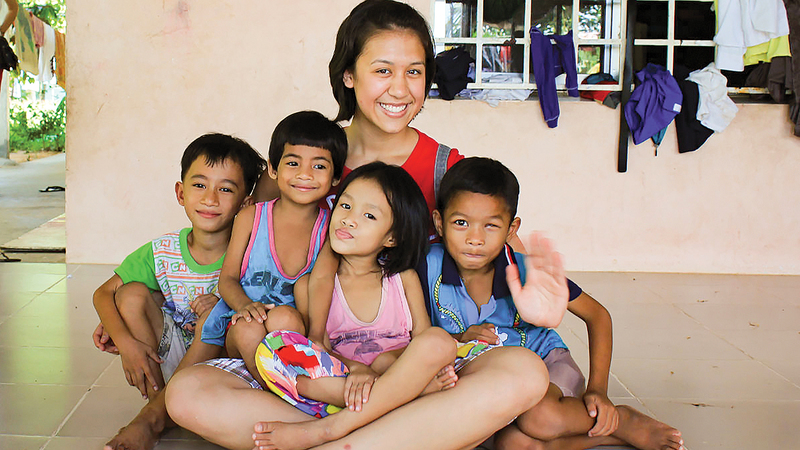 Carly’s father is a Cambodian who learned of Christ through the work of missionaries. In high school, Carly developed a strong calling to be a missionary to her father’s land. She studied nursing and worked in the ER in preparation to better meet the physical needs of the people she knew she would one day serve. While in college, she met Eric, a designer and film maker by profession, who was also trained and worked in Bible work, Evangelism, and Literature Evangelism for over 5 years. He has a love for building strong relationships and leading people to a loving relationship with Christ. His experience with co-laboring with a loving, almighty God has left him enamored with God and devoted to serving Him for the rest of his life. They look forward to using their passions in medical work & discipleship to minister to the needs of the Great River people and leading them to experience the love, joy, and peace that is found in Christ. An affirming goal for them would be to see the first indigenous group of believers making disciples and multiplying into four to five new generations of believers within 10 years. Pray for them to be clay in the Potter’s Hand, molded daily into effective vessels of His Glory through the unforeseen challenges and circumstances ahead. Thankful for all of you who support us and pray for us, and thankful for our families who sacrificially allow us to be so far away. Thankful for what God has done to get us to Cambodia, and thankful for what He will continue to do. Thank you for being a coworker with God and with us to reach the unreached. As we go to Cambodia, will you join us by praying and supporting the work of turning its dry lands into springs of water? Cambodia is still highly unreached, and we are thrilled to see how God weaves us into the beautiful tapestry of His love in our new home country.